Rathmacnee was the seat of the Rossiters from the C14 from whom the castle was presumably confiscated in 1654. 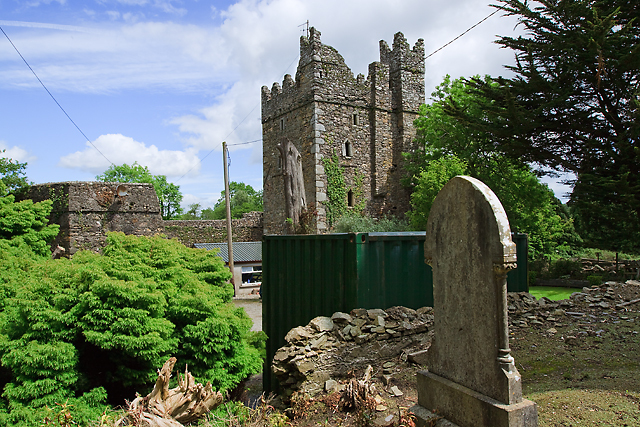 The well preserved tower is of 5 storeys and was probably built by John Rossiter in c.1450. It lies in the SE corner of an equally well preserved bawn enclosed by a wall over 5 metres in height to the wall-walk. The tower's entrance is in the west wall having a drawbar-slot and a stair. The rooms on the upper levels above the loft contain fireplaces, also latrines, these serviced by a chute projecting from the south wall. This page has been viewed about 416 times.